My name is Mark and I put this site together because it has always worried me that climate change divides opinion and pushes people apart. In this polarized way people argue and make selective use of the facts to sway opinion towards their own. Taking us with them. This pressure generates as much spin as you find in a tropical cyclone, an easy route to confusion and a home for trolls. Climate change is a complex topic and it isn't easy to sort the truth from the opinion. None should feel they have to be in one camp or the other until they have had time to figure it out for themselves. Being bullied into a stance by media or your mates is not fair. So I thought that I could help because for more than thirty years it has been my job to observe how people view the environment. 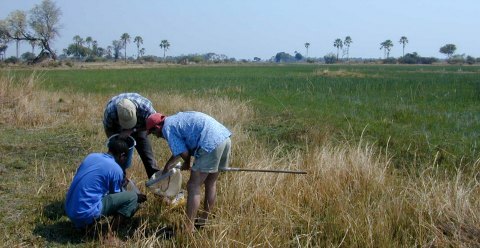 After quite a while as an environmental science student I became a college professor teaching and researching things ecological in the UK, Zimbabwe, Botswana, and Australia. I taught all manner of topics from how to construct a carbon budget [long before carbon accounting was de rigour] to elephant population ecology and the ins and outs of biodiversity. It was great fun and when the students were out there was plenty of research projects to publish. 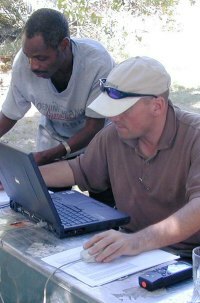 Then in 2002 I left the academic world with its many interesting foibles to run businesses that helped build environmental understanding. This brought me into the real world of commerce, policy and politics and I have been in this crazy space ever since. Then, starting in 2008, I began work for clients involved in the development of carbon markets. I have been an advisor, auditor, builder of carbon accounting rules and educator in things climate. What I have learned is that climate change is a crazy space too, full of spin and confusion over just about everything. And where the wisdom that we all have inside us could be nurtured a little. climate-change-wisdom.com is an experiment to see what can be done. Why call it climate change wisdom? Wisdom is needed because climate change really is a challenge. Is it abrupt, or dangerous, or caused by human action? Will all those climate change effects really happen? Should I be worried for myself or for my grandkids? And climate-change-wisdom.com offers some pragmatism on many of these questions. there are 7 billion people in the world growing in number by 8,000 an hour. These are all good people who need food, shelter and a quality of life. We have to think logically, carefully and dispassionately about this challenge otherwise life for our grandchildren will be very difficult. climate-change-wisdom.com tries to provide explanations on climate change without spin so that we can think clearly about the challenge of resource use in a changing world. Ask a climate change question? If there is something you have always wanted to know about the climate change conundrum why not ask me a question. and I will do my best to provide an answer for you. If you would like we can make the question and answer a page on the climate-change-wisdom.com site. Or, if you are just passing, I would love for you to read a few pages and pause to think about what it really means to be part of a world that is always changing. If you want more than climate change wisdom, link across to Ask Alloporus, a website devoted to the pragmatic explanation of a much wider range of environmental issues. are currently trending on Ask Alloporus.